If you are interested in becoming a Cannons partner please contact Andres at andres@tbcannons.com you can also download our Partnership Deck. SPEND LESS. MAKE MORE. BIG SMILE. Big or small, there is no such thing as a one-size-fits-all media plan at Modus Direct. Modus Direct is a full service advertising agency with over 175 years of collective direct response expertise and single clients with well over 20 billion dollars in sales last year alone. Modus Direct negotiates tens of millions of dollars each week, targeting both English and Hispanic consumers with core competencies in TV (video), radio (audio), print and out of home. We ensure that your advertisement reaches the optimal audiences at the right time and best price. We are leaders in OTT (over the top) – airing our clients on media such as Hulu, Sling and Roku. We are proud to be featured at MediaPost conferences as OTT specialists. We are Analytics-Driven media buyers and planners, which means your ad dollars are well spent. We buy media like the money we spend is our own. Rainwater Services, the official Irrigation Sponsor of the Tampa Bay Cannons is a licensed and insured irrigation specialty contractor that has served area businesses and homeowners for over 12 years. As a proud steward of our community's water resources, they take pride in designing, installing and servicing systems that provide optimal efficiency and promote the long term health of landscape investments. Visit RainWaterServices.com today and schedule your free consultation. To bring your "A Game" means to compete at your best and perform at your potential. Everyone's "A Game" looks a bit different. A Game Sport Psychology Consulting provides mental skills training to all athletes, coaches, and exercisers of any age or ability. They believe that it is just as important to train our mental skills as well as our physical skills. Their objective is to help you BRING YOUR A GAME! Optimal Performance & Physical Therapies (OPPT) is a Florida based, private, Physical and Occupational Therapist-owned group of Outpatient Rehabilitation Clinics. OPPT operates 13 rehabilitation facilities in the Tampa Bay Area and a Hand, Occupational, and Physical Therapy clinic in the Kendall area of Miami. Hart and Hart Financial Services is a 3rd generation investment and insurance planning firm. Founded by H. Terrell Hart and Elizabeth Hart, we have been proudly serving clients since 1965! Our practice is currently run by Barry D. Hart, and Jakob Hart. We care about our clients and want to help them achieve their financial goals. To keep pace with our clients' needs, we partnered with New York Life to give us access to new products, advanced planning techniques, quality customer service, and pioneered new technologies. We don't believe in a "one-size-fits-all" approach. Instead, we work with you to create a strategy that's based on your individual needs and objectives. Roney Insurance for all your personal and business insurance needs in the State of Florida. As an independent agency we represent multiple insurance companies to make sure that you get the best coverage at the most competitive price, while providing you with the highest level of customer service. Our staff has the knowledge and expertise of our insurance products to provide maximum benefit and protection to our clients. Let one of our licensed professional agents start assisting you today! For more than 25 years, Jeffery M. Wolf General Contractor, Inc. has been building and remodeling luxury homes in the Tampa Bay area. Their goal is to construct homes and structures that will outlive us and that will be sources of pride and stability for the communities in which they are built. 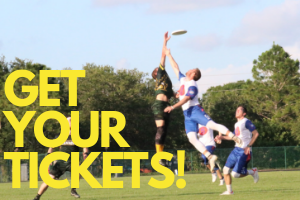 Universe Point cleats, the official footwear sponsor of the Tampa Bay Cannons, are made specifically for Ultimate Frisbee, and developed with the help of athletes from top college teams and the American Ultimate Disc League.